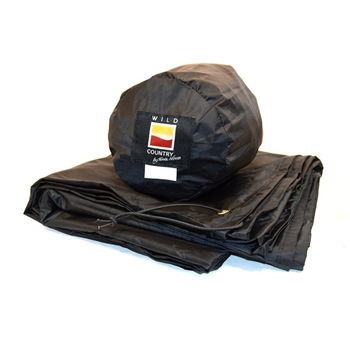 We are confident that Wild Country inner tent groundsheets will outperform any similar groundsheet fabric. However, we recommend the use of a groundsheet protector or footprint for extra security against sharp objects. Wild Country footprints are sized to fit under each model's flysheet, fitting the area covered by the inner tent and porch, and attaching to the tent's pole feet using shockcord loops.